Sparkle, set in the 1960s Motown scene, was Whitney's last role before her death in February, but it also marks former American Idol contestant Jordin Sparks' film debut. Omari Hardwick, who plays gangster Levi in the film, said the Bodyguard star was motherly towards the younger actress. 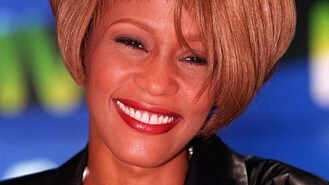 "Whitney was a mother, aunt, sister figure, but to Jordin a mother figure," he said at the film's Los Angeles premiere. "I would say just very nurturing and patient, and she kind of helped her along in her rookie journey - I thought she did a great job." Whitney plays the mother of three sisters trying to make their way in the music industry in the film, a remake of the 1970s movie of the same name. Bre'ly Evans, who plays Sparkle's best friend Tune Ann, spoke of what an amazing experience it was to work with the late singer. Bre'ly said: "She was a real person, a real woman. I would sit back and watch her do regular stuff like go in her purse - just the smallest things were just... because she's this 'Great' that I have watched from being a child. "Whitney Houston has always been there in my life. So I'm just so grateful to have had the chance to talk to her personally and get to know the real her and have her give me nuggets that are going to help me in my career and in my personal life!"